Pygmy Marmoset: The World’s Cutest Pet Or Best Left Wild? A pygmy marmoset is a small monkey found in the Amazon Basin in South America, weighing only 3.5 ounces, it is the smallest monkey in the world.You might have heard about one of the newest pets on the market; the pygmy marmoset (also known as the finger monkey). These little guys are absolutely some of the cutest animals you will ever see. One of the most important questions people should ask is if these adorable little babies should be a pet or not. Check out this article to learn more about pygmy marmosets, and if they should be a pet. Should Pygmy Marmosets Be Pets? Theoretically, these little cuties can be kept as pets and don’t necessarily need to be in the wild to thrive. However, they require so much care and attention you may not want to get one. So, if you are considering getting a pygmy marmoset, read on to see if you can handle all the care and time these animals require. These animals are extremely cute and it is very easy to fall in love with them. Now that you have some cool factoids, let’s go over some important considerations when it comes to these little cuties. Even though these guys are super tiny, their price tag isn’t. You can expect to spend about $4,500 to $5,000 dollars just to purchase one. That does not include the cost of their diet (which you can expect to be around $100 a month) or their enclosure and toys. Now with that enclosure, you will have to have 24-hour heating, which costs quite a bit in electricity charges (plus having all the right equipment for the heater). 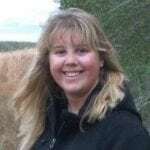 Another big chunk of money will go towards an exotic animal veterinarian. A lot of vets won’t even entertain the idea of seeing a pygmy marmoset, so you will need to find a vet near you that will see them. Along with regular checkups, there may be instances where you need to rush your finger monkey to the exotic animal ER (we will go over that soon), which is an extra charge. Note: Many breeders actually include the cage when your purchase the pygmy marmoset. This is a massive help, especially if you are a first time owner, so ask the breeder about it. Conclusion: If you want a pygmy marmoset, make sure you have quite a bit of money to dedicate to your pet. If you don’t have that much money around then you may want to reconsider getting one. Make sure you do your research so you can choose the cage that is best suited for your needs. For instance, if you live in a region that is always below 60 degrees you will need to keep your pygmy marmoset inside because they cannot handle cold temperatures. 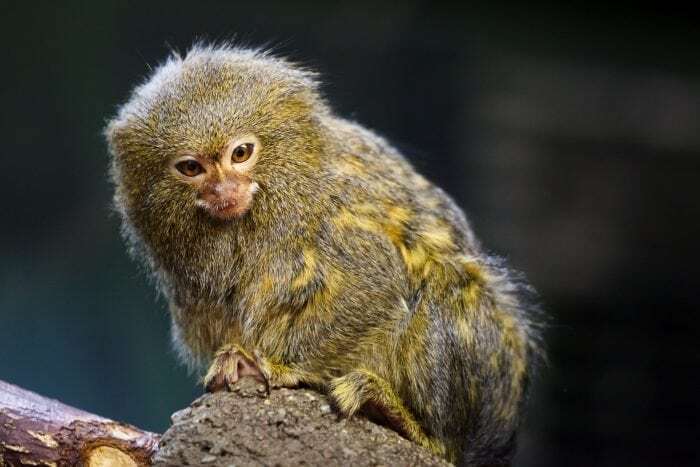 You don’t want to spend all the money to get as pygmy marmoset just to kill it because you didn’t keep it warm enough. Like I said above, many breeders do include the cage with the marmoset purchase, so ask your breeder if they include the cage, or if they have recommendations. When purchasing a pygmy marmoset never be afraid to ask questions and do your research. When pygmy marmosets are in the wild they are pretty big fans of tree sap. They dig into trees with their teeth and their nails and get the sap to ooze out and eat it up. They also eat small insects and even eat gum found in trees. However, their diet is slightly different when they are in captivity. In captivity, they eat yummy dry pellets (which can be bought online), fruits, veggies, seeds, and protein. That protein can come from boiled eggs, cooked chicken, insects, and whatever else your breeder recommends. Another extremely important item in their diet is water, so make sure water is always available to them. An interesting dietary need is supplementary vitamins. Finger monkeys don’t actually make Vitamin D3 or Vitamin C, so they have to have supplements to create that. I know we keep saying this, but make sure to talk to your breeder about supplements that your new pet will need to ensure they are as healthy as possible. Pygmy marmosets require a lot of care and attention. If you get a baby pygmy marmoset, then expect to feed them every 2 hours for a couple weeks. As the babies grow up then you won’t have to keep up with feeding every 2 hours, but you still have to feed them often. When the baby grows up to become sexually mature then they can get aggressive and lash out. Yes, these cuties go through their own puberty where they will rebel against their parents if they aren’t given the appropriate amount of support and attention. Some say that these pubescent finger monkeys can require about 90% of your attention. That attention is required when your monkey is awake, so you will get a break while they are sleeping, but it is still a lot of time. These animals will rely on you for everything, so this is not a pet you can leave at home for multiple hours at a time. They are very social animals and will rely on you for their entertainment and for your love. It sounds totally ridiculous, but they are extremely smart monkeys and will look to you as a leader and parents (especially if you get them as babies). If your marmoset begins to feel emotionally neglected (yes, it is a thing), then they will turn into a raging toddler and throw temper tantrums. The tantrums can include biting, throwing their own poop, and they might just hurt themselves to get back at you. They require, not just want, a lot of attention and when that is neglected then they turn into some pretty upset monkeys. Another thing to keep in mind is that pygmy marmosets are very susceptible to colds and sicknesses, just like humans are. So that means that you need to feed them right (and give them their Vitamin supplements) and keep them warm so they don’t get sick. When we say that this is not an easy animal to care for, we aren’t remotely exaggerating. Finally, health care is a huge consideration to consider when buying a pygmy marmoset. These animals can, and will, get the average cold and can get other diseases. So you need to have a vet who knows how to treat these kinds of animals. If your finger monkey is violently ill or is injured, you need to be aware of where the closest animal ER is to you (just the same as you should know for any pet you have), and if they have the knowledge to treat a pygmy marmoset. Do your research and find a vet and an animal hospital near you where you can get help when needed. Money: If you cannot afford not just the initial costs, but the recurring costs of food and care then consider getting a different pet. Time: These animals require constant supervision and care, otherwise they may injure themselves. Prepare to spend most of the day taking care of them. Food and Vitamins: Pygmy marmosets require a particular diet to grow strong, as well as supplemental Vitamin C and D3, so make sure you are able to provide these daily for 20 years. Healthcare: Pygmy marmosets cannot just go to a regular veterinarian, so you have to find a vet and live close enough to an animal emergency room in case something happens. Remember, these are not ordinary pets that are covered in basic vet classes. These animals are genuinely loving animals that will rely on you throughout their life. Before you commit to one make sure it is the best decision for you and your lifestyle. Previous Post« Previous How Many Oceans Are There?